Group your Sages into a powerful collective. Business Pages are groups of Sages with similar areas of expertise, all presented within a single profile. They can be created by existing organizations, such as companies, registered associations, partnerships or clubs. Individuals with specialist domain knowledge can also create Business Pages. Known as our ‘curators’, they use their networks to attract great Sages to the platform - and get paid for it too! Business Page owners have the power to select the best Sages on our behalf, so obviously we want to know who you are... Contact us, and we’ll email you a link to get you started. 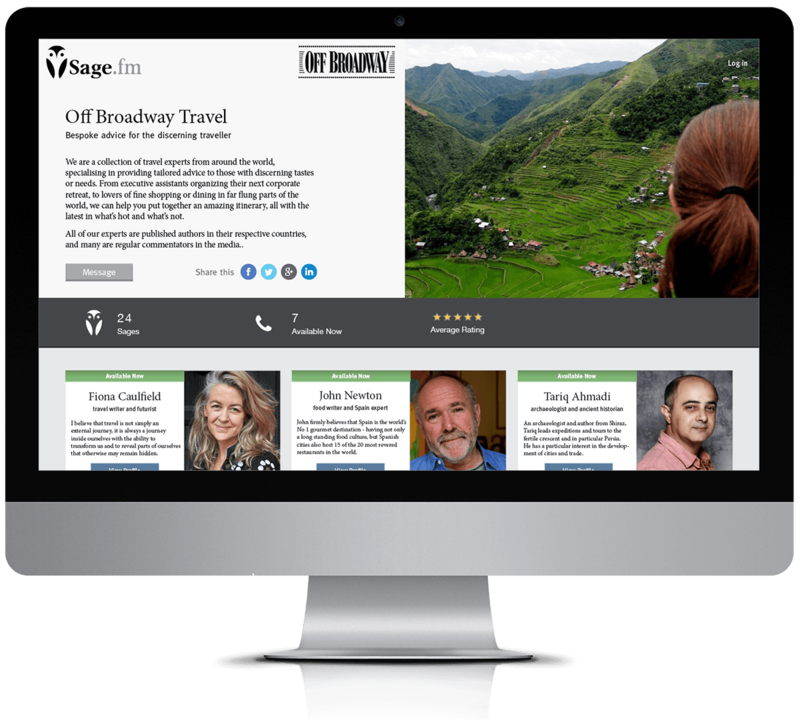 Your Business Page profile captures the essence of your organization and puts your Sages in one place. We’ll help you make it look great and share it with the world. Get Sages on board with just their email address and the click of a button. Their profiles are then showcased on your Business Page's profile page. Share your Business Page across social media with a single click, or use your profile link for e-lists, blogs, articles – whichever channels you can think of. Business Page owners can approve new Sages on our behalf. In return we reduce our service commission by 5%. This discount can be kept by the Association as an administration or marketing fee, or passed on directly to its Sages. Business Page owners can also keep more than the 5% discount if they choose. 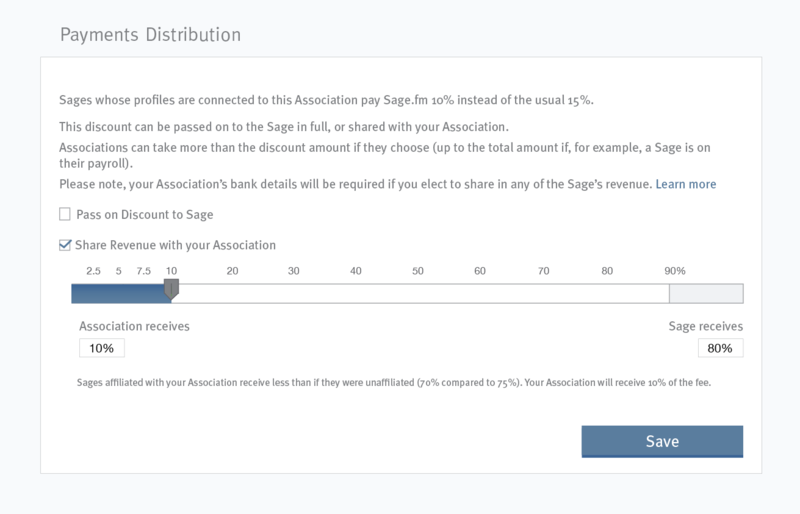 They can even keep the entire Sage’s fee - for example when Associations have Sages on their payroll. Simply enter your Business's bank details and select the rate you want. More questions? Check out our FAQs.